If you answered "yes," you may be at risk for becoming financially liable for thousands of dollars. In 2007, the HOA and their attorneys drafted a similar amendment, but this time stating that those designated as "sexual predators" or "sexual offenders," pursuant to Florida Statutes, cannot own, rent, or reside on a property within the community. It is believed that this amendment was never enforced until recently. At the latest board meeting the board of directors voted to pursue litigation against anyone who fits this designation. Why is this a potential problem? While it may sound okay to discriminate against someone who is a registered offender or predator, there are some lessons to be learned from the Bradley case. The association created an amendment barring even property ownership but the covenants expired, meaning the association will be spending your money to pursue legal action against someone for simply owning property or renting a home without any legal basis for their actions. And what happens when municipal, state, and federal governments step in and pursue litigation against the association? The members of the corporation can be held liable for the corporation's debt. So if the association were to lose a case for roughly $1,000,000, that could equate to nearly $6,000 per homeowner, and that number could definitely increase, especially if there are multiple cases going on. So while it may be popular to support this action, what may be popular may also be costly... for you. The May 2014 newsletters were just sent out and they contained some interesting omissions. For instance, while referencing covenants and restrictions, it did not claim they were mandatory but they did continue to imply that homeowners are required to pay them money. As a simple reminder, that is false! You are not legally required to join the "HOA," pay them any fine, fee, or assessment, or listen to any of their arbitrary rules. Also, it appears that this website has got some people in the neighborhood scared. 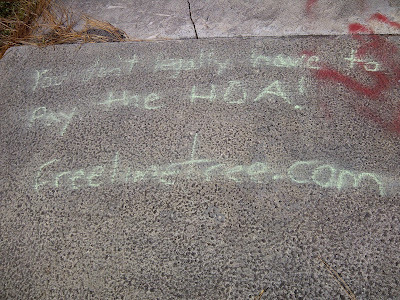 If you haven't noticed, some homeowners have started displaying "FreeLimeTree.com" signs in their yards. Unfortunately, someone trespassed onto private property to steal these signs so that nobody could learn the truth. They also decided to use Orange County Code Enforcement to harass the homeowners who displayed our sign (Orange County stated there were no violations warranting a call). Don't you love the hypocrisy? These people want you to live by their rules and are willing to break the law and abuse government services (and your tax dollars) to get their way. The February 2014 newsletters were just sent out and they require some corrections. In the "President's Message" column written by Maureen Barry, she writes that "C&Rs are the rule and regulations that govern Lime Tree, are legally binding and are filed with the Orange County Property Appraiser." Florida Statutes govern Lime Tree. Statute 712 (MRTA) erased all C&Rs on Lime Tree properties back in 2009 (5 years ago). This means that as of today there are zero C&Rs on any property in the Lime Tree community. This means that the actions the Lime Tree Village Club Association, Inc. claim they can take, such as assess, fine, and fee homeowners for simply owning a home and not following their rules, are illegal. Just ask some of your non-member homeowners. They will tell you! Also, Maureen and the property management company should know (being this is their livelihood - C&Rs are NOT filed with the county property appraiser. They are filed with the comptroller's office, and yes, while legally binding, Florida law essentially states that C&Rs are legally binding for 30 years. After the 30 years are up the HOA can file a preservation notice to renew them. 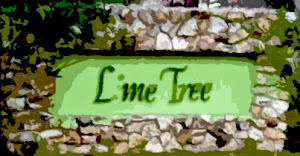 Lime Tree Village Club Association, Inc. never filed in accordance with the law. That is why the C&Rs expired. Don't believe this website? Ask a lawyer versed in HOA law and ask them about the effects of MRTA on C&Rs and show them the information provided on this website. They will tell you the same thing this website does (but for hundreds of dollars)! Recently, the HOA has undergone a change in management. The new management company has decided to ignore the law and sent out fraudulent invoices disguised as "coupon" booklets. These booklets have the appearance of an official document (many organizations utilize this method of billing). Lime Tree Village Club uses these coupon booklets as a method of intimidation. They state that if the bill is not paid a late fee will be charged. Because legally Lime Tree Village Club has zero authority to enforce any covenant or restriction and require payment. Because the covenants and restrictions expired, there exists no contract between the homeowner and the association. Contact the management company, Associa/Community Management Professionals, at 407-455-5950, and tell them that their actions violate the law. For more information, please contact this website at freelimetree@gmail.com. You can leave at any time! The HOA is lying if they tell you can only leave at the end of the year! THEY DON"T WANT YOU TO KNOW! These chalk notifications have been popping up all over the neighborhood. 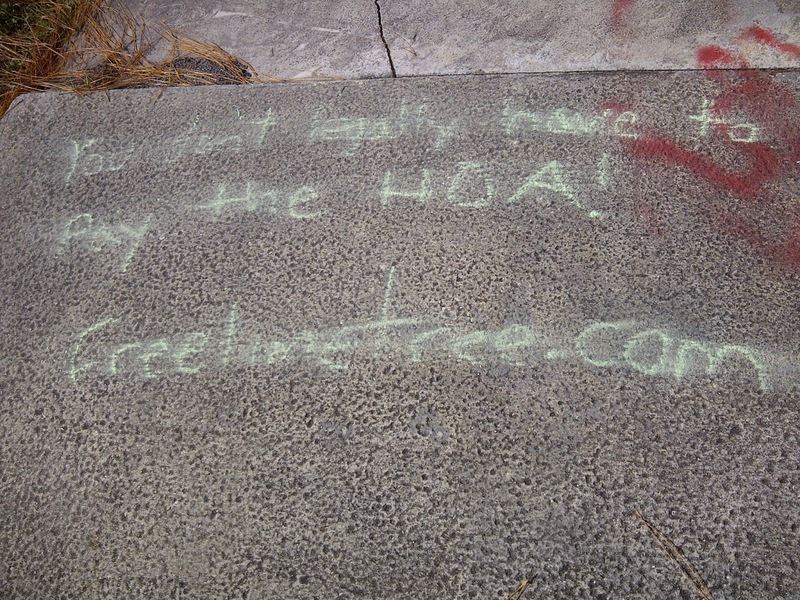 Surprisingly, on the day of the annual membership meeting, the HOA tried sweeping these informative chalk drawings under the rug so that the homeowners wouldn't know about their illegal activities. After they scrubbed the sidewalks of the truth, a cop sat in their parking lot. Talk about intimidation tactics to silence dissenters. Remember - You can leave at any time. You don't have to pay the HOA another dime. You can do whatever you want to your own property. And most importantly, you can live your life however you want without worry. Make sure to go to the annual meeting and let them know you won't be lied to. According to multiple sources, the HOA has told homeowners that they must abide by the covenants and restrictions and that they can only leave during certain times of the year. This is 100% false. Since the C&Rs expired homeowners have no obligation to pay the HOA a single cent! If you are a member and want out you can stop being a member today! You can save yourself the nearly $1000/year! If you live in Lime Tree Village in Williamsburg, Florida, you may be under the impression that you belong to a homeowners association, aptly titled Lime Tree Village Community Club Association, Inc. (to be referred to as the "HOA" from here on in). For years the HOA has told homeowners that they must pay to live in their homes or face legal action. That amount has changed over the years, nearly doubling in the last decade to almost $100 per month (over $1000 per year). Here's the thing - the HOA has lied! You are not required to pay the HOA one cent! There is a law in Florida known as the Marketable Record Title Act (MRTA). It was designed to make the transfer of property simpler and remove any encumbrances (covenants and restrictions) on a property after a period of 30 years, unless properly renewed pursuant to state statutes. The HOA never properly renewed the covenants and restrictions. Therefore they have ceased to exist. You are no longer forced into membership with the HOA, you are no longer required to pay the HOA fees or assessments, and you can make certain alterations to your property without the HOA threatening a lawsuit like put up a wall or fence). Lime Tree is NOT mandatory! Basically, you can live in your home and do what you want with your home at no added cost!